Our natural health improvement services are centered around Chiropractic Care and include Personalized Clinical Nutrition, Functional Mobility, Massage Therapy and a select line of Health Improvement Products for your self-care. Dr. Todd Hanscom is a Chiropractor and Clinical Master of Nutrition Response Testing serving Thomasville and the surrounding areas. 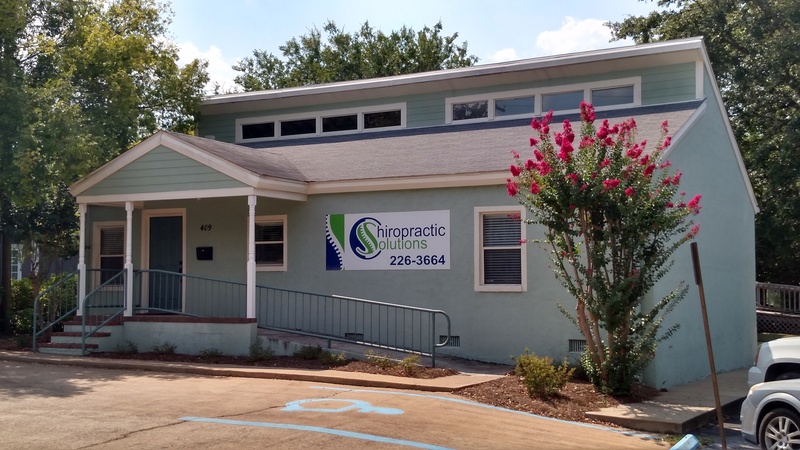 We have offices in Thomasville and Moultrie, Georgia. Whether you need pain relief, or to improve your overall health, Chiropractic Solutions may have a solution for you. At your first visit to Chiropractic Solutions, Dr. Hanscom will consult with you and give you an evaluation to see if chiropractic care is right for you on your path to natural health improvement. If so, we will develop a plan of care that is specific to your condition and health goals. You may be new to chiropractic and want to find out more. Feel free to click the "email us" link to ask any questions and you are more than welcome to call 229-226-3664 and speak to us directly. We also welcome referrals, so feel free to use the "send to friend" link to share our health information with your friends and loved ones. If you want to receive our free health and wellness articles, you can subscribe to our bi-weekly newsletter, even if you are not a patient. You can explore our member wellness section and take advantage of our animated exercise videos, wellness articles, and other resources.
" To serve God and mankind using the ability of the body to heal itself, as well as to educate, motivate, guide and direct the people the Lord sends me to live a healthier, happier life. "